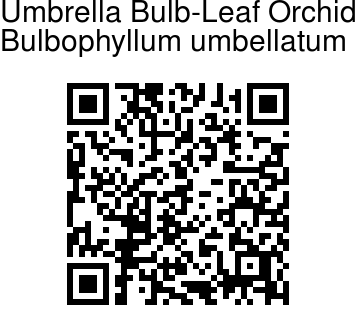 Umbrella Bulb-Leaf Orchid is found in the Himalayas, Nepal to SE Asia, in humid, mossy, mixed and coniferous forests. The plant lives on mossy branches in old, dwarf, gnarled trees at elevations up to 2000 m as a miniature sized, hot to warm growing epiphyte. Pseudobulbs are enveloped basally by a fibrous sheath and carry a single, leathery, narrowly elliptic, stalked leaf. 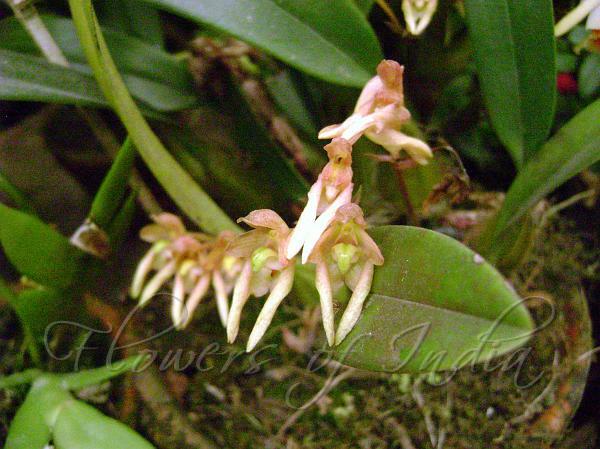 The plant blooms on a slender, 20 cm long, basal, 5-8 flowered inflorescence that is just shorter than the leaf and has an umbel of foul smelling flowers.